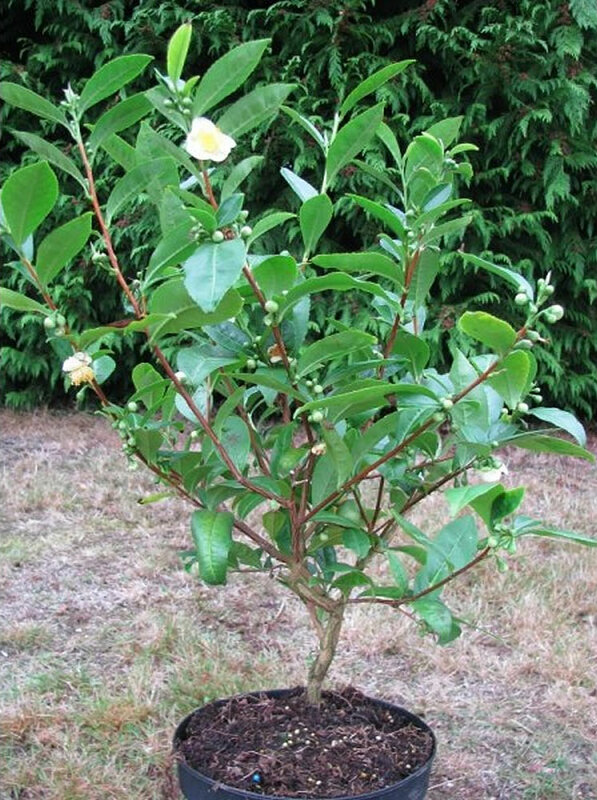 Distributiona and habitat: Camellia sinensis plants are evergreen, medium sized woody shrubs growing to a height of 2 to 2.4m (7-8 feet) native to South East Asia and China. It is found growing at the forest edges and gaps, at high altitudes, in well drained soils where it grows as a tree of up to 15m tall. 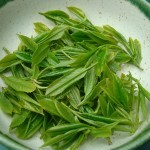 This is the species of plant whose leaves and leaf buds are used to produce the popular beverage tea. Today it is grown as a cash crop in plantations at high altitudes in East Africa. 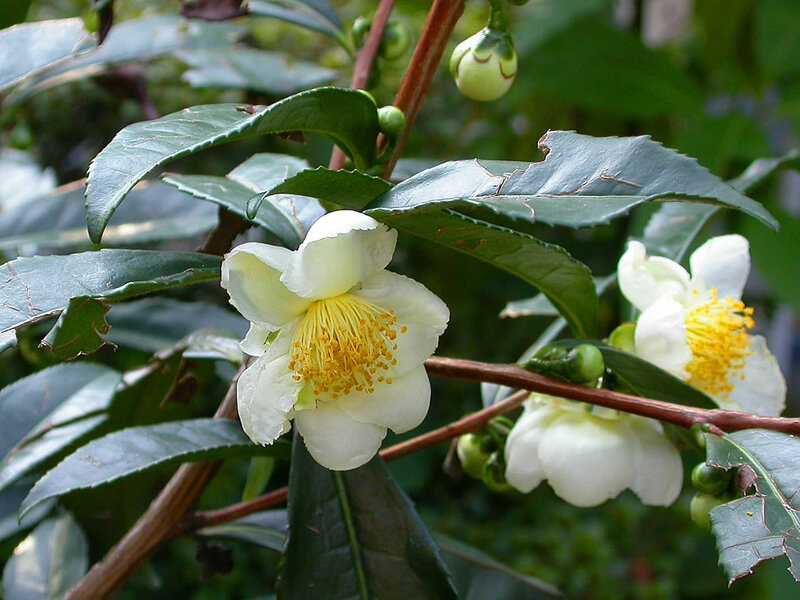 In Tanzania, Camellia sinensis plants have been noted to escape from cultivation and are considered to be invasive in parts of the Usambaras. Description: Camellia sinensis is a small evergreen shrub cultivated to a height of 1.8m (6 feet), but growing wild much taller and much branched. The bark is rough and grey. The leaves are dark green, lanceolate or elliptical, on short stalks. They are usually 5-10 cm (2-4 inch) long, blunt at apex with the base tapering and shortly serrate margins. The young leaves are hairy, but older leaves become glabrous. The flowers with mass of yellow stamens appear solitary or two or three together on short branchlets in the leaf axils. They are somewhat drooping on short stalks with a few small bracts, 2.5 to 4cm (1-1.5 inch) wide. The flowers are up to 4cm (1.5 inch) diameter, formed from five up to o nine white, occasionally pink, petals, unequal, strongly rounded, concave, spreading and caducous. The petals are surrounded by five sepals imbricate, slightly united below, ovate or rounded, blunt smooth and persistent. It is up to one year and four months from buds blossom to fruits mature. 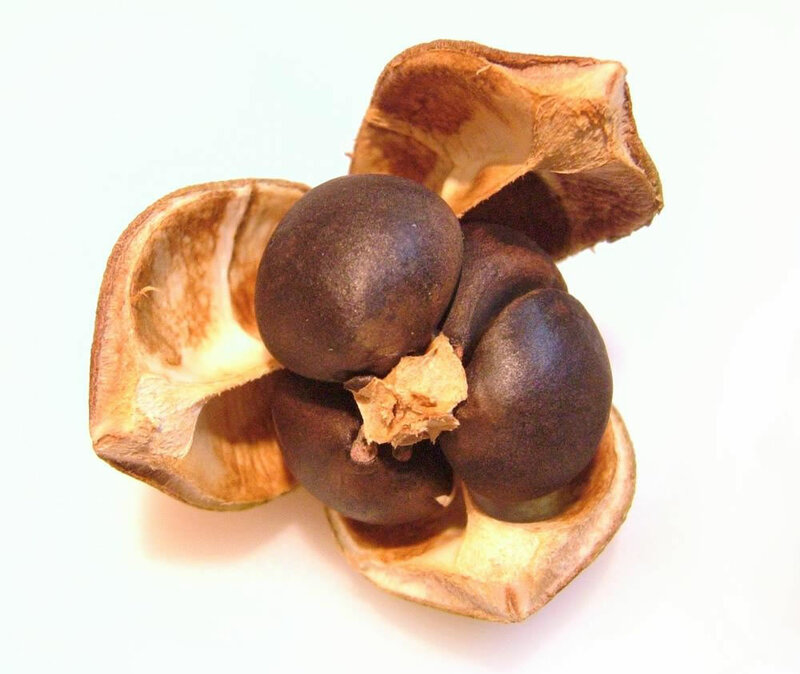 The fruit is a smooth, flattened, rounded capsule splitted into one to five chambers, each chamber containing a solitary seed. Houseplant care: Camellia sinensis is an attractive, glossy green leaves plant which grows indoors to a height of about 60cm (24 inch) or more and usually needs a minimum of attention. 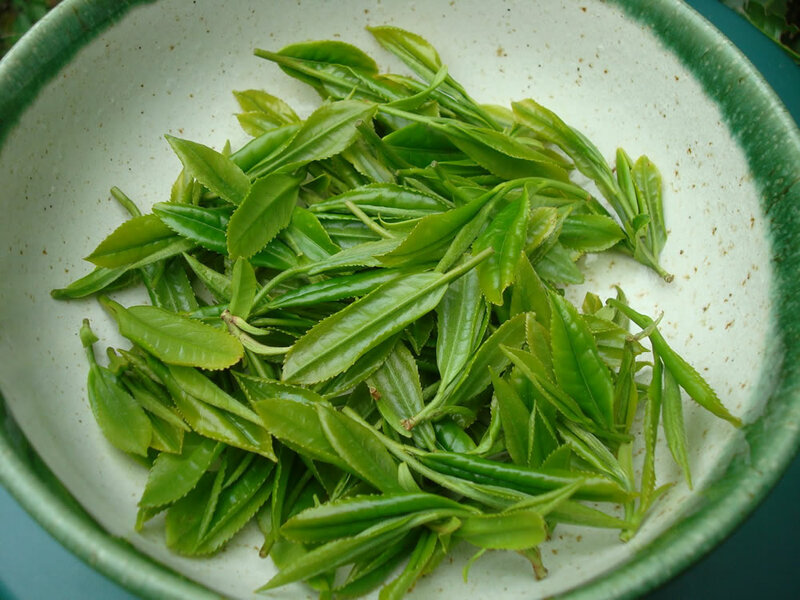 It has become a popular indoor species, partly become of the novelty of the fact that as the common name suggests, the processed young leaves of the plant yield commercial tea. Although one bush growing indoors would not yield a great amount of tea, indoor growers can try their hand at harvesting the young shoots and making their own tea. When sufficient growth has been made to allow the growing point of future shoots to be picked, these young leaves can be naturally sun dried. When these leaves are dried, they can be lightly rubbed between the hands, thus producing tea leaves. 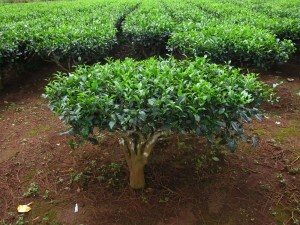 It is said that the tea is best quality when is made from tea leaves used immediately after drying and not months after. Indoor cultivation of Camellia sinensis is bound to be plagued by some problems as these plants are very sensitive to any change in their position, temperature, humidity and moisture. Light: Grow Camellia sinensis in bright filtered light throughout the year. In warm weather, they are better moved in the garden – the pot can be buried in the soil – or to a semi-shady spot on a verandah. Temperature: In the dry warmth of the average home Camellia sinensis will not flower, but they grow well in cool porches, patios and plant rooms such as conservatories. An ideal temperature during the bud-forming stage (autumn and winter) is between 7 and 16°C (45-61°F). Camellia sinensis cannot survive for long time indoor temperature above 18°C (64°F). Stand the pots on trays of moist pebbles and mist-spray the plants at least once a day. Watering: During the active growth period water plentifully but never allowing the pot to stand in water. During the rest period – about six weeks from the end of the flowering season until late spring or autumn (depending on the variety) – water only enough to keep the potting mixture from drying out. They drop their buds easily, especially if they do not get enough water when they are forming flower and leaf buds – and in any case, they are unlikely to flower well indoors, unless they are grown in a cool, conservatory type situation. Feeding: Apply standard liquid fertiliser every two weeks during the active growth period. Potting and repoting: Use equal parts of peat moss, coarse leaf mould and a lime-free soil based potting mixture. Move plants into slightly larger pots in spring whenever necessary. After maximum convenient size pot has been reached, top-dress the plant with fresh potting mixture at the end of each rest period. Do not repot plant in flower. Gardening: Tropical and subtropical climates best suit the growth of Camellia sinensis. These plants needs warm weather and shade to grow fruitfully. Camellia sinensis plants will grow into a tree if left undisturbed, but cultivated plants are pruned to waist height for ease of plucking. Young plants can be pruned early at about 20cm (8 inch) to promote a low, spreading branches, as needed. Position: A half-day of sun or partial shade makes good planting place for Camellia sinensis. Plants will grow in full sun, but in colder locations will do best when protected from winter sun and winds. 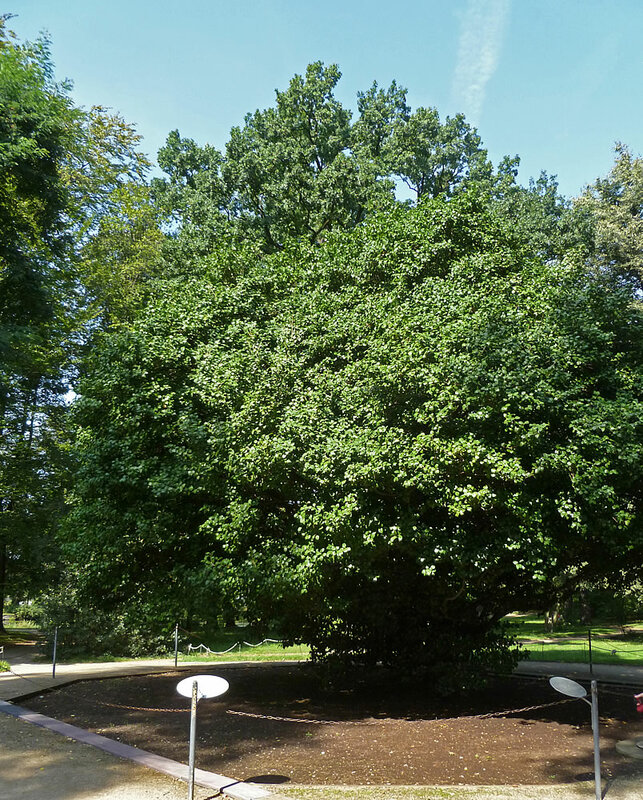 It does well in the dappled shade beneath larger trees. 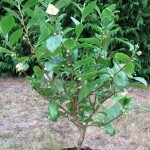 Soil: Camellia sinensis will grow well in moist, free draining, fertile acid soils. For best results enrich the soil with well rotted compost and preserve the moisture by adding a tick layer of mulch. The ideal time to plant Camellia sinensis out in the garden is in early fall or spring, but summer time is good enough if the plants are kept moist. After preparing the soil, dig a hole 60cm (24 inch) wider than the root ball, re-filling with conditioned soil after centering the plant. 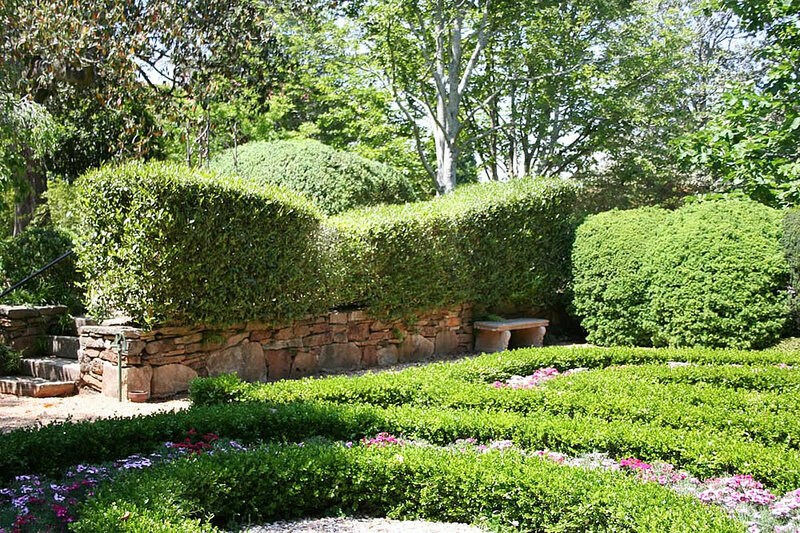 Irrigation: These shrubs prefer a generous watering regime during growth period. Regular watering will encourages new growth. Fertilising: Fertilize lightly in early spring with a balanced mix. Use a slow-release source of nitrogen for plants heavily harvested, ideally no later than mid summer. Harvesting: When being harvested for tea the shoots and 2-3 top leaves are harvested every 8-10 days. However, it is their spring leaf tips that are valued the most. Camellia sinensis usually will produce an abundant crop twice a year, once in the spring and again in the summer. Harvesting can be done every seven to 15 days during these periods, until the plant no longer produces new growth. Plucking should be done by hand so as not to damage the plant or bruise the leaves. Hold the stem and gently pinch the stem with one hand. With the other hand, gently pluck the desired leaves from the stem. Place freshly plucked leaves in a shallow basket while continuing to harvest. Using the basket to house the leaves while harvesting will allow air to flow within the leaves and discourage wilt. Camellia sinensis plant is a perennial crop with life span of several decades even up to several hundreds years. 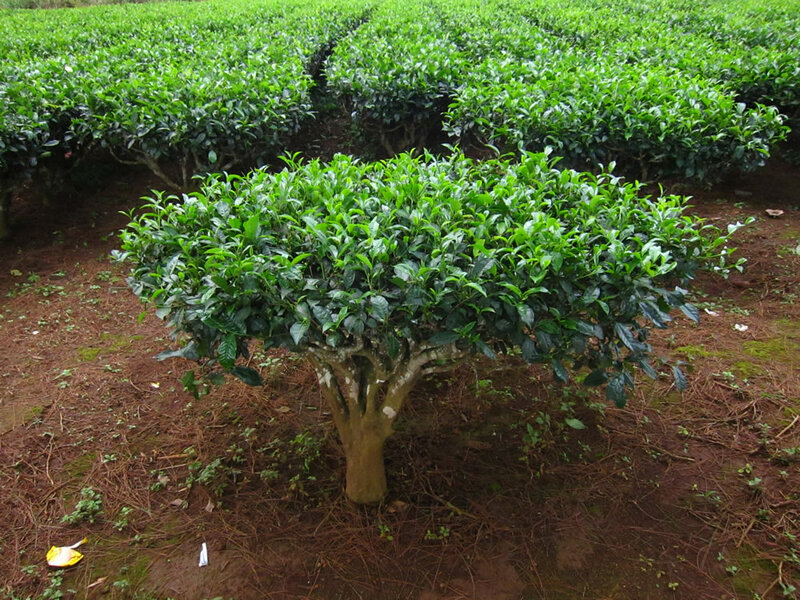 When under good management, Camellia sinensis plants can be harvested on a small scale in 3-4 years after planting. In 5 years, it can reach a big annual output and then remain at it for above 30 years. Propagation: Camellia sinensis can be grown from seed but the seed has a hard shell, so before sowing it must be soaked in tepid water for up to 48 hours. This can speed up the germination process considerably. Sow the seed just bellow the surface and firm down the soil. 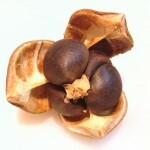 To germinate, these seeds must have a temperature of about 23°C (73°F). A seed propagator or greenhouse is ideal, but a useful alternative seed raiser can be organised. Simply sow the seed in plastic pots, water, then place the whole pot in a polythene bag, making it airtight, before putting the pot in a position where the required temperature can be achieved. Wherever possible, water the plant from the base. Refresh the air and water every two or three days. While the plant is still a seedling, about 5-15cm (2-6 inch), a regular mist-spray of water will assist growth. Transplant the plant when is about 15-20cm (6-8 inch) tall to a 20-25cm (8-10 inch) pot. 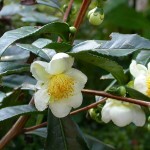 Also Camellia sinensis plants are usually propagated by cuttings. However, this procedure is quite difficult to carry through successfully. The amateur gardener is advised to purchase a healthy young tree from a reputable nursery or plant supplier. Problems: Camellia sinensis naturally shed older leaves, so a small amount of leaf loss is normal. Large amounts of dead, yellowed, or blotchy leaves can be a sign of disease or pest. Algal leaf spot caused by Cephaleuros virescens. Infested plants have roughly circular, raised and purple to reddish-brown lesions developed on their leaves. Treatment: Usually Cephaleuros does not harm the plant. Prevention methods include: avoiding plant stress and avoiding poorly drained sites. Promote good air circulation in the plant canopy to reduce humidity and duration of leaf wetness. Brown blight and grey blight are caused by Colletotrichum sp. and Pestalotiopsis sp. Small, oval, pale yellow-green spots first appear on young leaves. Often the spots are surrounded by a narrow, yellow zone. As the spots grow and turn brown or gray, concentric rings with scattered, tiny black dots become visible and eventually the dried tissue falls, leading to defoliation. Leaves of any age can be affected. Treatment: These diseases are very difficult to eradicate or even to manage once established. Avoid plant stress. Grow Camellia sinensis bushes with adequate spacing to permit air to circulate and reduce humidity and the duration of leaf wetness. Blister blight is caused by Exobasidium vexans. Small, pinhole-size spots are initially seen on young leaves less than a month old. As the leaves develop, the spots become transparent, larger and light brown. After about 7 days, the lower leaf surface develops blister-like symptoms with dark green, water-soaked zones surrounding the blisters. Following release of the fungal spores, the blister becomes white and velvety. Subsequently the blister turns brown and young infected stems become bent and distorted and may break off or die. Spores that land on a leaf with adequate moisture will germinate and infect it, producing visible symptoms within 10 days. The fungus can directly penetrate the leaf tissue. The basidiospores have a low survival rate under conditions of drought or bright sunlight. The life cycle of the fungus is 3–4 weeks. Treatment: Apply an appropriate foliar or systemic fungicides to protect the plants. Horse hair blight is caused by Marasmius crinisequi. Black fungal threads resembling horse hair are attached to upper branches and twigs by small brown discs. The fungus penetrates and infects the twigs from the discs and produces volatile substances that cause rapid leaf drop. Treatment: Remove a and destroy all crop debris from around plants; prune out infected or dead branches from the plant canopy. Twig dieback and stem canker is produced by Macrophoma theicola. 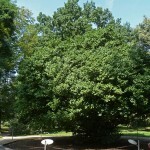 The first symptoms include browning and drooping of affected leaves. As the disease spreads into the shoots, they become dry and die. The entire branch can die from the tip downward. Dying branches often have cankers shallow, slowly spreading lesions surrounded by a thick area of bark. The fungus usually requires wounded plant tissue to gain entry and initiate infection. Treatment: Control of this disease should be attempted through a combination of chemical and cultural methods. Fungicides should be used during the spring at leaf drop to prevent spread of this disease. These fungicides will act as a protectant against the fungus but will not cure the disease after infection has occurred. Fungicides should also be sprayed following pruning, especially during the spring when temperature and moisture is ideal for the fungus. Pruning of plants to allow for good air circulation throughout the plant and proper spacing of camellias will help to reduce, the incidence of disease. Avoid excessive applications of nitrogen as tender new growth is more susceptible to the fungus than that which has hardened. Infected plants should be removed from healthy plants to prevent spread of the disease. Camellia flower blight is caused by Ciborinia camelliae. Small, brown, irregular-shaped spots appear on the flower petals; the whole flower is turning brown; finally, flowers are dropping from plant. This disease emerges early in spring during periods of high moisture. Treatment: Remove all infected flowers from plants and remove all crop debris from around plants. Drench the soil with appropriate fungicides can help to reduce the intensity of the disease. Root rot caused by Phytophthora cinnamomi. The leaves are turning yellow; plant growth is poor; entire plant is wilting; roots are discolored; rapid death of plant is occurring. Treatment: This disease is difficult to manage once plants become infected so control methods should focus on protecting plants; always plant Camellia sinensis in well-draining soils which are not as favorable for the survival of the pathogen; application of appropriate fungicides can help to protect plants from infection. Poria root disease (Red root disease) caused by Poria hypolateritia. The foliage is yellowing. The plant is wilting and / or occur sudden death of part of plant. The withered leaves remain attached to the plant for several days. Uprooting the plant reveals whitish mycelium and red discoloration of the roots. Treatment: Remove and discard any visibly infected plant and any adjacent plants which are showing signs of yellowing. Remove any stumps or trees within infested area. All living and dead roots which are about pencil thickness or more should be removed from the site by digging using a fork. All material collected should be destroyed by burning. The plants surrounding the infested area should be treated with an appropriate fungicide applied as a soil drench and the cleared site should be planted with grass for a period of two years before Camellia sinensis is replanted. Scab, Sunburn and Salt Injury. Symptoms of scab are rather varied; however, it usually appears first as a tiny, water-soaked, and often raised area on the underside of the leaf. These spots enlarge and may become corky, brown in color, and of irregular size and shape. The condition may also appear on the top of the leaf. Too high a concentration of salts in the soil or in the irrigation water or the use of heavy doses of fertilizer coupled with inadequate irrigation will cause this condition. This problem will develop rapidly in container grown plants. Treatment: Place the plant in draped shade. Do not expose plants to increased light radiation without acclimatisation. Plant them in a medium with good drainage. An occasional heavy irrigation will help to leach away the excess salts. Damage caused by scale insects is usually serious, but not deadly to the Camellia sinensis plant. If the problem goes undetected for a long period of time with no treatment it is possible for all or part of the plant to be killed. Plants infected with scale insects appear unhealthy and produce very little new growth. Scale insects that attack foliage are usually seen on the underside of the leaf. Symptoms on the upper leaf surface appear as chlorotic areas. Heavily infested leaves will often drop off. Spider mites may be found on both the under and upper sides of leaves and may not be detected until high populations have occurred. Infested plants exhibit a speckled appearance on the upper leaf surface resulting in a silver or bronzed cast. Treatment: Use a suitable acaracide to control mites insects. Often, some control may be obtained by spraying foliage with a hard spray of water. Aphids are commonly found in large numbers on the shoots of new growth. They injure plants by sucking their juices with long feeding tubes. Aphids also excrete honeydew which attracts ants and promotes the growth of sooty mold. Treatment: A heavy stream of water may be used to wash aphids off of young foliage. Also it can be used the soap sprays. Insecticidal sprays may or may not be necessary for control of these insects. Aphids are generally a problem only during periods when new growth on camellias is soft and succulent. Camellia sinensis plants are hosts for a number of beetles, weevils, grasshoppers, caterpillars and other insects that chew or consume plant tissue. The size, shape and location of the injury may help to determine the pest responsible. Treatment: Control of these pests is through proper insecticidal sprays applied to the foliage. Buying tips: Inspect plants closely before buying. Look for wounds or scars at the base of the plant that can become cankerous and cause the plant to die. Check the root system as well. Look for white roots. If the roots are brown, the plant have been poorly cared for or may have a soil borne disease. Note: White tea, yellow tea, green tea and black tea are all harvested from Camellia sinensis plant. The difference in the teas is dependent on the age of the leaves and post-harvest processing to attain different levels of oxidation. The first tea plant to be discovered, recorded and used to produce tea is dating three thousand years ago. Uses and display: Camellia sinensis are primarily used for commercial production of green ans black teas. 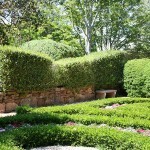 Also these shrubs are used as ornamental evergreen hedges as they respond well to regular trims. In cold weather climates, this shrub is used as indoor potted plant.